Transparent Topaz Size 6round seed beads. 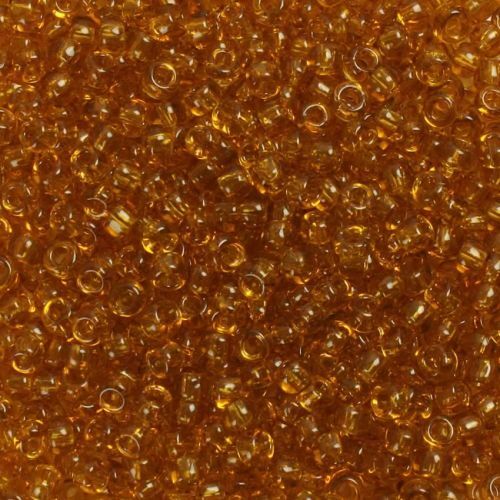 These beads come in a lovely amber colour, and their 4mm size makes them perfect or a variety of jewellery projects, such as chokers. These Toho beads are made in Japan and of a very high quality, and are widely known for being consistent in size and colour. CommentJust love these beads, I use them in knitted scarfs/shawls. They are all exactly the same size!